Our Beautiful Nails Again information booklet has been developed to assist the community to understand and better manage fungal toenails. It bridges the gap of information supplied by manufacturers of pharmaceuticals and the academic research in this area, helping to demystify the condition and the variety of treatment options available. Furthermore, the advice within is the combined wisdom of decades of experience within the podiatry industry. Read our Beautiful Nails Again Information Booklet online below. Fungal Nails (or in medical terminology, Onychomycosis) is a common condition that can affect both the fingernails and toenails, but is more often seen in toenails.There are a few good reasons for this. Firstly, fungus thrives in the warm, dark environment created by closed in footwear. Plus, our toenails grow much slower and are exposed to repetitive micro-trauma from gripping and rubbing on footwear. Fungal infections come from the same germs that cause tinea of the skin. The fungi (or dermatophytes) are parasites that feed off the nail (made up of the protein keratin). The process isn’t dissimilar to the way termites can invade timber in a home. The infestation of fungi in the nail eventually weakens the nail and causes it to split and become brittle. Fungal nails can appear white, yellowish or various shades of brown and can have a slight odour. Fungal nail can be hard to treat, so it’s important that you see a professional. There are a number of treatment options available and each treatment varies in price and success rates. The most successful treatment option is fungal nail laser treatment. Click here to learn more. Need help keeping your nails beautiful? Most problems are treatable, so the sooner they are assessed and diagnosed the better. If you have concerns about the shape, colour or any other change in your nails, please see your Podiatrist as soon as possible. We look forward to helping you have beautiful, healthy nails again! Call 1800 366837 or book online. Looking and feeling good is important. We take pride in our hair, skin and overall appearance for our health and confidence. The last thing we expect is to have issues with our toenails. Identifying what causes fungal nail infections is step one in prevention. In our earlier blog, ‘What are fungal nails?’, we identified what fungal nails are and what they look like, but what causes them? Fungal toenails (Onychomycosis) affects 10% of the population. 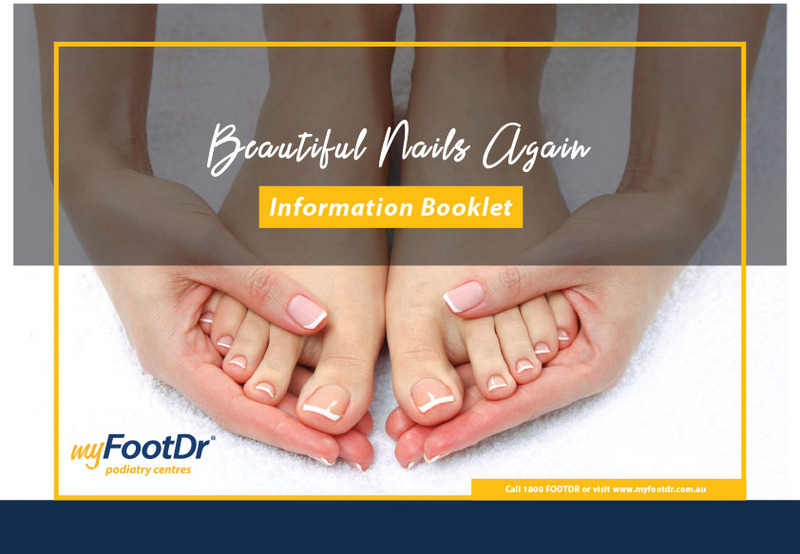 However, the chances of acquiring a fungal nail rise sharply with age, and up to 50% of people over the age of 60 have one or more nails infected. Don’t waste time with paint-on treatments. Treat fungal nail once and for all with our revolutionary laser treatment. Book your initial consultation online now!